"While a speculative technology at the present time, advances in Brain-Computer Interface (BCI) research are beginning to shed light on how players may interact with games in the future. While current interaction patterns are restricted to interpretations of mouse, keyboard, gamepad, and gestural controls, future generations of interfaces may include the ability to interpret neurological signals in ways that promise quicker and more sensitive actions, much wider arrays of possible inputs, real-time adaptation of game state to a player's internal state, and qualitatively different kinds of gameplay experiences. This talk covers both the near-term and long-term outlook of BCI research for the game industry but with an emphasis on how technologies stemming from this research can benefit developers in the present day." "The developers behind the VR stealth game 'Budget Cuts' discuss how they used Steam Audio to implement advanced spatial audio features for their title. The talk provides specific examples of spatial audio technology and how it enhances gameplay and immersion, including: HRTF-based binaural rendering for locating enemies; occlusion and transmission for modeling how sound is affected by vents or other openings; and real-time physics-based reverb for modeling smooth variations and subtle details in environmental reverb. The talk also discusses how the needs of the game informed improvements in how Steam Audio integrates with Budget Cuts' game engine, Unity. Finally, the talk discusses some of the limitations in audio engine architecture when it comes to advanced spatial audio technology, and offers some suggestions for addressing them." "What is the role of design in a game that doesn't include combat, puzzles, or other traditional mechanical challenges? Can the story itself be the gameplay? On 'Firewatch', the developers set out to create a compelling story that unfolded in real time and allowed for player-centric interactivity and responsiveness, without allowing the player to ever "fail." In this talk, game designer and composer Chris Remo will discuss the ways in which the team succeeded (and came up short) in making deep interactive narrative design a vital part of 'Firewatch', a pillar they are continuing to build on in their upcoming project, 'In the Valley of Gods'." "This session outlines techniques to achieve immersive audio coverage in your 3D game or VR project quickly and to a high level of quality. Emily will cover both basic and detailed implementation strategies that allow sound designers and non-sound designers to scale audio quality according to their constraints. Examples will be demonstrated in Unity. " 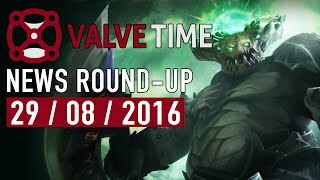 We'll be keeping this thread up-to-date with all of the known Valve participants. However, there is a passage to the inside of the room via the 2nd one, and that's where things get interesting. There's a desk inside the 3rd room with several computer monitors on it. If you stand by the desk for more than a couple of minutes, audio starts to play. It turns out there's a hidden message inside of it, and it says, "This was a triumph. I'm making a note here: HUGE SUCCESS." We'll update this thread as the community uncovers more. Both Jose and Kasper were founding members of Seven Headed Studios, alongside their ex-colleague Ted Everett - who appears to still be at Valve. 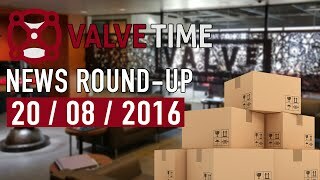 We approximate around 5 other individuals who joined from Kerbal are still at Valve, too. 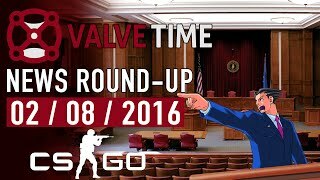 It appears Valve allowed the team to retain ownership of the game they were working on after leaving Valve. 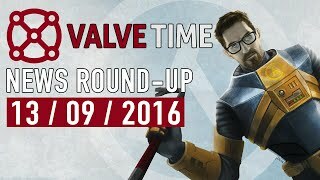 It is unclear whether this means Valve are still working on 3 titles internally or now just 2. A while back Valve shipped out the Knuckles EV 1.3 developer kits to VR devs, a new hand controller which improves upon the original Vive Wands. Knuckles EV2 is the next iteration and improves upon the original design in many ways, including ergonomics, battery life and new sensors. The new sensors are the most interesting aspect as these controllers have force sensors which can detect a range of pressures placed upon them, supporting much more precise hand movements in VR using. You can read more about that and Skeletal Input here. In order to exhibit the possibilites of EV2, Valve have produced the Moondust tech demo. EV2 developers can download and try the demo here. Moondust is set in the Portal universe, and involves a range of mini-games such as crushing rocks for Aperture Science to increase their moon-rock gel stores, control a giant robot, drive a moon buggy and assemble a space station in orbit. The demo was developed in-house at Valve however it appears some independent VR developers also contributed to the development. Check out the video below! 6/11/2018 -- Perfect World Zhengqi (Shanghai) Multimedia Technology Co., Ltd. and Perfect World Game Co., Ltd., two wholly owned subsidiaries of Perfect World Co., Ltd., and Valve Corporation announced an extension of their ongoing partnership to begin work on Steam China, which will provide Chinese gamers and developers with a new way to access Steam's expansive selection of games and entertainment. No release date for Steam China has been announced. Steam China will extend the strategic cooperation between the two parties that began in 2012, when Perfect World's subsidiaries obtained the license to operate Valve's DOTA 2, and later Counter-Strike: Global Offensive (CS:GO), in China. Robert H. Xiao, CEO of Perfect World, said the company would introduce more games to China through Steam China, providing quality content and improving the experience for both gamers and developers. Perfect World and Valve will collaborate closely on Steam China, actively promoting its launch, marketing, and game lineup. No changes are planned for Steam's existing worldwide operations and services as a result of this announcement.